Faculty from the George Washington University (GW) School of Medicine and Health Sciences (SMHS) Department of Dermatology presented at several sessions during the ODAC – Dermatology, Aesthetic, and Surgical Conference, Jan. 18–21. 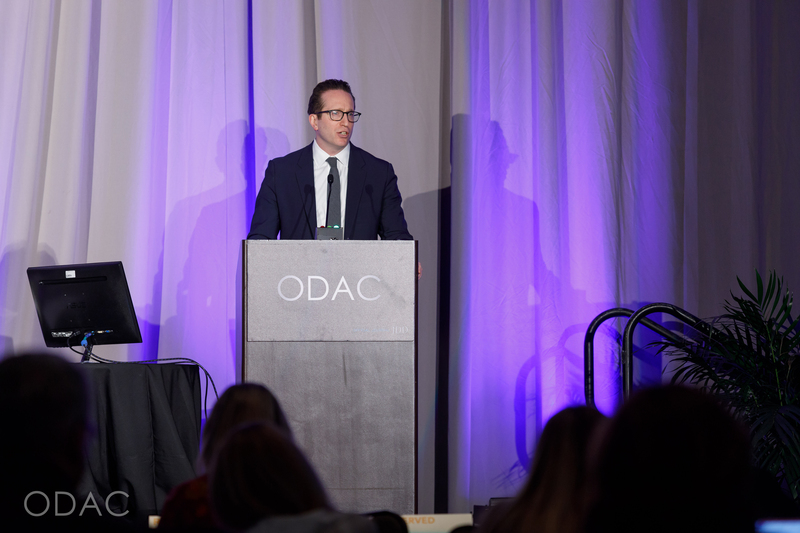 ODAC is considered one of the largest and most prestigious conferences of the year, attracting a national audience of nearly 900 dermatology physicians, residents, nurse practitioners, physician assistants, and members of the industry. The conference is curated to provide comprehensive, annual updates for medical and aesthetic dermatology providers. Over the course of the weekend conference, Adam Friedman, MD, residency program director and professor in the Department of Dermatology at SMHS, presented on a total of 12 lectures numerous topics, including diagnosis and treatment of dermatophytoses, rosacea, hidradentitis suppurativa, and the application of cannabinoids for treatment of inflammatory and neoplastic skin diseases. A. Yasmine Kirkorian, MD, assistant professor of dermatology and of pediatrics at SMHS, explored challenging cases in practical dermatology in her presentation on Saturday. Terrence Keaney, MD, assistant clinical professor of dermatology at SMHS, spoke on topics ranging from starting your own practice, to treatment for seborrheic keratosis, to hair disorders. Vishal Patel, MD, director of the Multi-disciplinary Cutaneous Oncology Program at GW Cancer Center and assistant professor of dermatology at SMHS, discussed a systematic approach to patient cases from actinic keratosis to squamous cell carcinoma. Dermatology resident Misty Eleryan, MD, also presented during the conference, discussing cutaneous T-cell lymphoma. Both Friedman, who also serves as the medical director of ODAC, and Patel were also on-hand for the Derm In-Review Board Review Workshop, which was hosted in partnership with SMHS. ODAC’s 2020 conference will be held Jan. 17–20 at the JW Marriott in Orlando, Florida.